It was as a 6yr old my passion for making good progress first translated into homemade go-karts. For a while this quench my thirst as I focused on refining and surviving some novel designs and sometimes disastrous runs down various slope and ash paths around the Cleveland Hills. At 9yrs old this passion took a leap forward when I was invited to play with ‘the big kids’ on the ‘Shale Tips’. These Guy’s had progressed onto motorbikes…… Well whenI say motorbikes it was what remains of a C90 and looked like it had worked hard for much of its life. That summer remains long in the memory….. no safety kit, no helmet, no gloves just boundless energy, a reasonable pain threshold and a little bit of common sense saw us all have days and weeks of fun. This experience drove my passion and I soon became a complete petrol head. Circumstance dictated a move to the Midlands not long afterwards, however I quickly progressed to petrol powered go karts and I terrorised the culde-sac in Chelmsley Wood for a while. Progressing onto a Talbot Sunbeam and a rebuild on a MGBGT all before I had got my license at 17 fuelled my ongoing passion. Ten lessons over 2 weeks and I was driving legally!!!! Anyway motorbikes always seemed to be an unaffordable luxury as I had to get to work every day so a range of performance cars from a Mini Clubman 1275 to a brand new top of the range Seat Cupra kept my passion alive. During this time marriage and children came along and I became a Charter Mechanical Engineer after 10yrs gruelling studies. In my early 30’s I managed to raise some spare cash to purchase a ‘baby blade’. A Honda NC29 to be precise from the grey import market. Many hours were spent felting this little lady and local excursions around Warwickshire to Bassetts Pole and Hatton comparing notes with likeminded individuals and encouraging a close friend to share in my passion. She would be replacing by a Suzuki GSXR600 in Telefonica Moviestar colours. Again many hours and a small fortune was invested in this little lady as I passed my advanced test and began to get involved in BAM in my late 30’s. I progressed into the 1000cc category finding a Honda SP1 from a fellow club member. I always remember this being a big step, like moving from a Shetland pony to wild horse giving me many miles of smiles. The engine note was sublime. Although it did throw me off once much to my embarrassment after the end of a very long full members run. I always toyed with the idea of a new bike to slow me down when it came to modifying and maintaining my bikes. It was the time when the idea of ABS was being considered by manufacturers for all performance bikes and I spotted a opportunity in MCN under an oak tree one April morning. Two months later I would put a deposit down on a brand new Repsol Honda Fireblade in Respol with some extras (of course!). The now Chairman being the Sales Manager facilitating the deal. It was with heavy heart I gave up the SP1 but options were still limited. Remember the wife and family I mentioned earlier….. Anyway after 3 hrs of ownership the bike was in pieces ‘literally’ as I took the rear pegs off. My tinkering with this machine continues to this day but I’ll tell you more shortly. I have watched short and long track motorbike racing since being a teenager and fondly look at the Norton’s in the Motorcycle Museum. Mainly following the sport on TV and through MCN I have however managed to venture to the TT (2012 the year the Senior was cancelled and I finished a computer game for the first time in my life) and several MotoGP events. Pedrosa was winning the Moto2 equivalent back then…. oh yes it was raining again. Anyway over the last 3-4 years my interest turned to a reality and I purchased an old Yamaha R6 in Cal Cutchlow colours and so began track days. 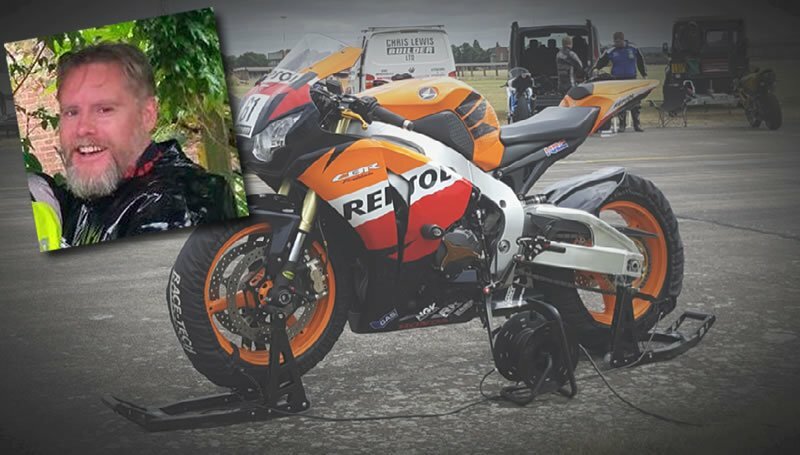 My fettling and spending now reaching epic proportions I moved to a race prep Yamaha R1 and this year retired my Fireblade to the track. Now in the fast group I’m toying with the idea of racing in the East Midlands Racing Association but first I will need my ACU license and then some more conversions to meet their regulations. So it might be just one guest spot this coming year and a full season the following year. This year has seen 12 track days and training with Jamie Whitham and personal tuition from Taylor McKenzie. Next year starts on January 2nd with ‘Pie n Mash’ @ Mallory. 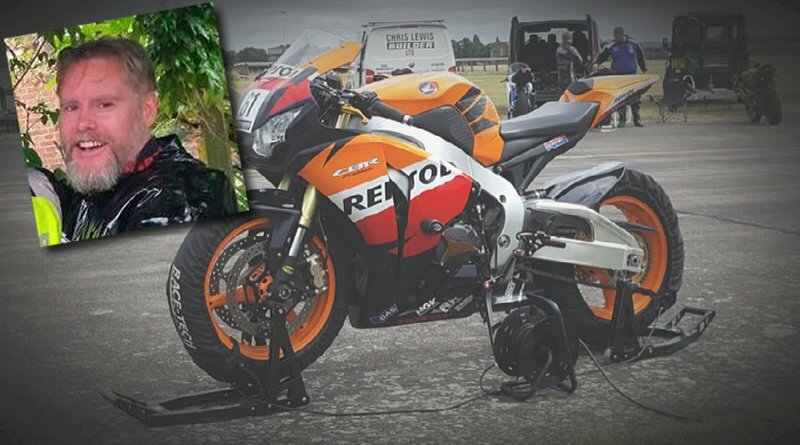 Mad dogs and Englishmen……The Fireblade was always heading to the track but 25 modifications later it left Insurance companies reluctant to insure my pride and joy and further difficulty getting reasonable custom insurance last year finally secured my decision to look for a new road bike. I had always loved the plastic rocket style bike however I had my gaze averted at a BMW open day when I was able to try allsorts. It was a GS Adventure…. whilst as big as an aircraft carrier to manage at low speed yet it was nimble, relaxed and great fun without drama when making progress on the worst of local roads. Remember my love of twins….. Scouring the second hand pages on the internet I stumbled across a clean, unmolested low mileage streetfighter. An Aprillia Tuono 1000R to be precise and she’s ace, although not the quietest of girl’s she by far the most forgiving. She has unfortunately succumbed to a little bit of fettling and as I prefer GP shift on all my bikes another job is on the cards to be completed over the winter. 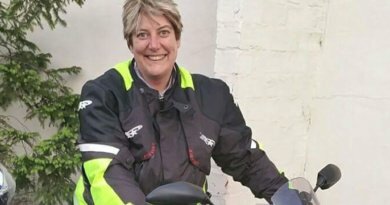 Owning motorcycles takes you on many adventures, allows you to meet many interesting people and gives me relaxed focus. I have done many different trips locally, nationally and internationally sharing experiences with many fellow bikers. 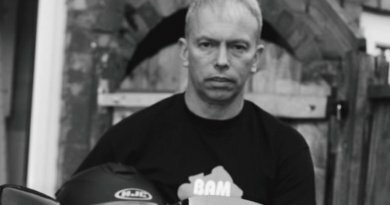 This year culminating in both off and on road training in and around Snowdownia with BAM Senior Observers and Mick Extance of Dakar fame. 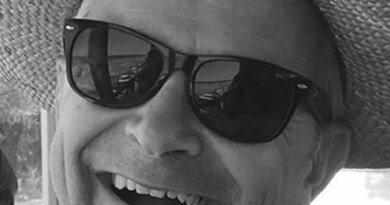 I never laugh so much on a motorcross bike….. oh and I’ve never fell off so much either…… I still favour this island as it has lots more to show me but perhaps I haven’t seen enough of the rest of the world….. something to put on my bucket list…. perhaps as new pages of my biking adventurers open….. The website design team working with BAM, from UK Design Group. Also do work with TUI formerly Thomson Holidays and First Choice holidays.